Airbnbs and other short-term rental properties in Baltimore are liable to start costing a little more under a bill the city council is to vote Monday night. The bill would extend the city’s hotel tax to those properties and limit the number of short term rental properties an individual can operate. 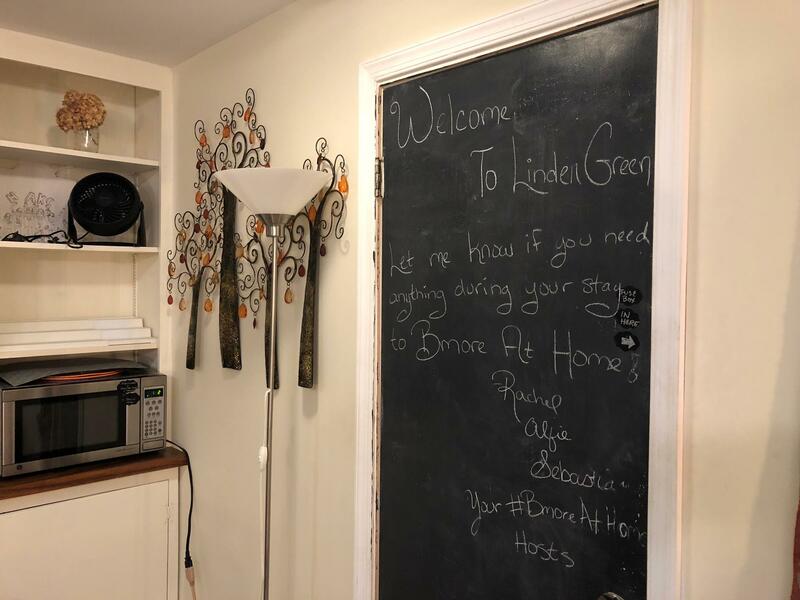 Rachel Indek invites me into her home in Bolton Hill, a three-story house with hardwood floors, a large kitchen, cozy living room and a fully-furnished basement for Airbnb guests. “This was the first room that I renovated and then this paid for everything else in the house,” says Indek. Indek started renting her space on Airbnb and other online short-term rental platforms in 2013 for supplemental income. After she was laid-off from her job in 2016, she took up renting her space and four other properties she owned as her full-time job. The bill would require Airbnb and other short-term rental owners to charge the city’s hotel tax—an estimated $1 million a year in revenue to the city,—limit stays to 90 days, and limit the number of short-term rentals in individual can operate to two. In Indek’s case, she’d have to sell three properties or convert them to long term rentals. “While she’s trying to be all innocent, essentially she’s bucking the law,” says Linda Smith, owner and operator of Rachel’s Dowry, a B&B in a historic building a few blocks from Camden Yards. Smith, who also books rooms on Airbnb and other short term rental platforms, is required to meet certain city codes for her property that Indek can avoid. She says she wants to level the playing field by requiring all Airbnb hosts with more than five guests to act like a hotel. “So they would need the fire monitoring systems. They would need the building inspection, the health inspection if they’re serving food,” says Smith. Councilman Eric Costello, the bill’s sponsor, says it would help the city more closely regulate short term rental owners. “It ensures that the city has a swift and decisive mechanism to revoke the license of problem operators,” says Costello. Costello and Roxie Herbekian, president of the local hospitality workers union, say Airbnb hosts are hiding large operations behind the small-business platform. “What is happening now in Baltimore is that buildings are being bought out by large entities and then booked out as hotel rooms instead of being leased as apartments for people to live in,” says Herbekian. Herbekian says that is taking business away from the hotels and hotel workers, and housing for those workers. “It reduces the amount of affordable housing in a particular neighborhood because areas that were zoned for housing and areas that were identified for use for housing are now being used as hotels,” says Herbekian. But, northern district Councilman Bill Henry, who opposes limiting the number of Airbnbs, says it’s an unnecessary infringement on property owners to change the nature of their business. “These are people who they invested in Baltimore real estate and were providing a service,” says Henry. Henry says he’d like to push for an extension in the bill for people like Indek to figure out what they’re going to do with their existing properties. The bill gives Airbnb operators with more than two properties until December 31, 2019 to unload some of their properties. The council is expected to vote to change amendments Monday night before making the final vote.